On July 3, 2017, Wanda Jin Hotspring Hotel Danzhai, the first hotel that highlights the essence of intangible cultural heritage under Wanda Hotels & Resorts, opened grandly amid a festive atmosphere with distinct features of the Miao ethnic group. Wanda Jin Hotspring Hotel Danzhai, located in the Wanda Danzhai Tourism Town of Qiandongnan Miao and Dong Autonomous Prefecture, is about a two-hour drive from Guiyang, the capital city of Guizhou Province. Featuring the design concept of "nestling below the mountains and wandering through the forests", the hotel combines the characteristics of a Chinese-style resort with Miao village. The buildings are well arranged with connected corridors, presenting a unique layout. The hotel has a total of 95 rooms and suites featuring Miao elements, fully equipped with advanced facilities. The inclusive Yunfu Restaurant offers both Chinese and Western delicacies, and the private dining rooms mainly serve local specialties supplemented with selected Guangdong, Yunnan and Sichuan dishes as well as seafood, providing guests with a nutritionally balanced gourmet experience. Also, the well-equipped gym and Yun Qin, the hot spring Spa can help guests ease up and relax during their trip. In addition to the most advanced and complete service facilities in the area, Wanda Jin Hotspring Hotel Danzhai is located in the Wanda Danzhai Tourism Town, which has been awarded as the "Best International Commercial & Special Project" at the 54th Annual Gold Nugget Awards by PCBC in the U.S. Featuring intangible cultural heritage and ethnic customs, Wanda Danzhai Tourism Town mainly comprises such landscape features as the largest waterwheel in the Guinness World Records, a sea of beautiful flowers, three intangible cultural heritage experience yards (papermaking, batik and birdcage), three ethnic blocks and four folklore squares. Wanda Danzhai Tourism Town also has a Wanda Cinema and four blocks of folk boutiques, dining choices, local specialties and recreational water feature. Combining "food, lodging, transportation, tourism, shopping, entertainment and education," the town is set to become a tourist and transportation hub in Qiandongnan Prefecture. The official debut of Wanda Jin Hotspring Hotel Danzhai sets a benchmark for international hotel services in the area. 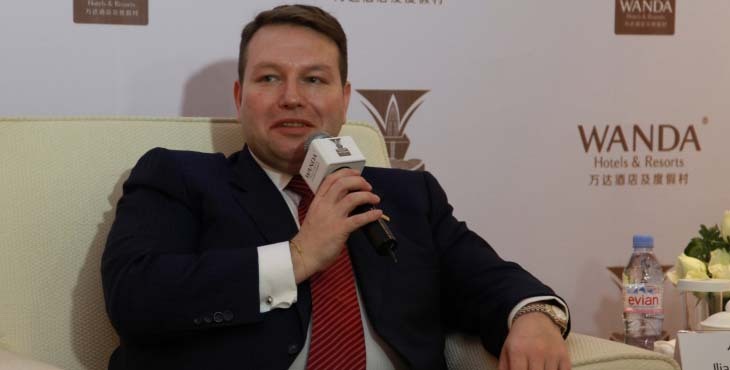 Mr. IIja Poepper, Vice President of Wanda Hotels & Resorts, said, "By following the hotel management philosophy of combining inherited local traditions and international elements, Wanda Jin Hotspring Hotel Danzhai will provide guests from all over the world with many 'Colorful Moments' during their stay."